The junction between the frontal bone and the dorsum of the nose. 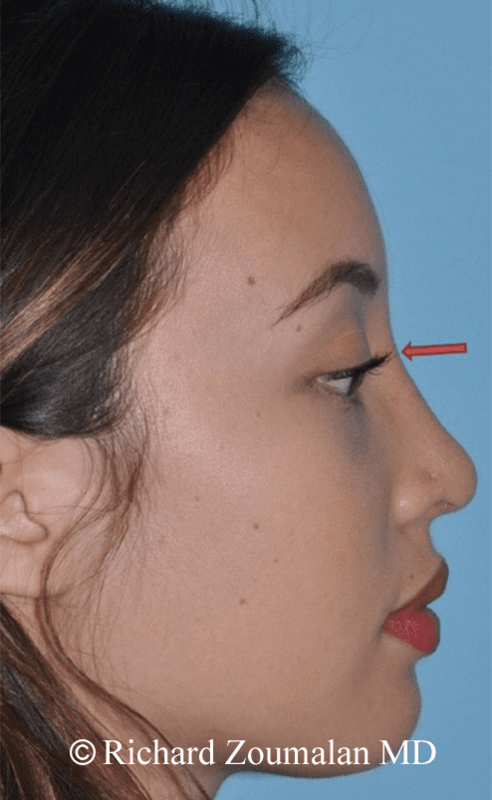 This is an area that can be deep in some people, requiring a graft during rhinoplasty. Other times, the radix can be too elevated and requires a technique called radix rasping, which reduces the prominence of the radix.